* These are my top tobacco e-juice flavors. I prefer slightly sweet, moderately rich varieties (rather than pure tobacco). Feel free to share your favorites below. Prelude is the best natural tobacco flavor I have ever had, a natural sweetness that you can’t fake. 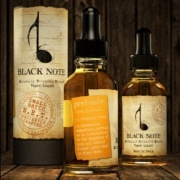 After spending hundred’s of dollars on imitation tobacco flavors I am so delighted to have found the Black Note Company. Prelude is light and airy; naturally sweet and with no nasty chemical after taste. The company and packaging is as world class as the juice. Probably the best tobacco flavor I’ve ever had, couldn’t stop vaping it until the whole bottle was gone. Perfect ADV! VaporFi’s Grand Reserve captures the relaxation of the Cuban shore with Havana Beach. 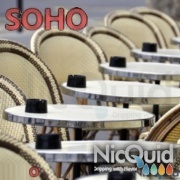 This juice begins with a smooth mild tobacco dancing elegantly alongside a creamy caramel front note. While you take in the aromatic and flavorful inhale, imagine a coconut falling from a tree filling out the flavor body. I am not normally a tobacco flavor fan, but I love this flavor! 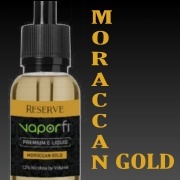 Slightly sweet, nutty and creamy, this is a fantastic flavor for everyone, tobacco flavor fan or not. Yum! Eclipse (Space Jam) – Not my absolute fav, but a nice combo of cavendish tobacco and sweet vanilla custard. Earthy, creamy and moderately sweet. El Blacco (G2 Vapor) – Probably the most unique tobacco e-liquid I’ve ever tried, El Blacco is a mellow mix of blackberries, pipe tobacco and vanilla. A tasty and distinct option if you’d like to change things up. Fillmore (Frisco Vapor) – Aged tobacco blend with notes of peanut butter, bananas and honey. A perfect combination of flavors. GwaRy4 (Mt. Baker Vapor) – One of the better RY4 e-juice flavors I’ve tried, Mt. Baker’s version is a flavor-filled combo of tobacco, vanilla and caramel. Jon Wayne (Uncle Junk’s) – Yet another RY4 flavor with tobacco, vanilla, caramel and maybe a bit of honey or brown sugar. It’s tough to nail down the subtle differences, but this one is good. Prime 15 (Halo) – My second favorite tobacco e-juice from Halo. Not as sweet as Tribeca (above), but closer to a traditional cigarette with just a hint of dry, subtle sweetness at the very end. 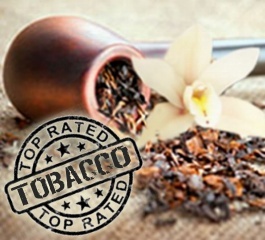 Tobacco D’Oro (CRFT) – Smooth and delicious combination of tobacco with hazelnut and vanilla cream. Reminiscent of a flavorful cup of hazelnut coffee – minus the coffee of course. Perfect in the morning! Another tobacco ejuice that should absolutely be on your list is Candied Cavendish from The Plume Room. It has a VERY REAL cavendish flavor with just the right amount of sweetness to make it an all day vape. Give it a try, I know you won’t be disappointed. Another very good tobacco ejuice is Sunset Cavendish from Hurricane Vapor out of Miami Florida.